All accounting information is of great importance and there are several users of this, and in the capital market would not be different, this information today is presented to: investors, suppliers and other lenders, customers, financiers, government institutions of all levels, associations and unions , employees, controlling shareholders, shareholders, administrators of the entity itself and other publics in general. The accountant is visualized as a key piece in decision making, with this lead the company to the knowledge and strategies that can be applied to the investment made, investments that are not carried out in a correct way, precisely because of lack of information. Thus, the accountant comes as a key tool for decision making demonstrating positive and negative points, better forms of profitability as well as its tax percentages within the capital market, in order to bring benefits to its users, just as in any company, they seek to seek less expenses and higher profit. Key words: Capital Markets, Information, Profit. A society that changes and improves in its market of possibilities, it is extremely important that the accountant also updates to meet the needs of the ample opportunities that may arise. All accounting information is of utmost importance and there are several users of this, and the capital market would be no different, this information is now presented to investors, suppliers and other lenders, customers, financiers, government institutions of all levels, associations and unions , employees, controlling shareholders, shareholders, administrators of the entity itself and other publics in general. The lack of professionals, the constant updating of information, and the large number of companies that do not have a more specific view of their investments and actions, was the decisive focus in choosing the subject. The accountant can serve as a key piece in decision making, with this to take society to the knowledge and strategies that can be applied to the investment made, investments that are not carried out correctly, due to the lack of information. What is the role of the accountant as financial advisor in the capital market? In order to demonstrate how the accountant can help by analyzing the financial risks that institutions incur when making investments. How can the bachelor's degree in accounting show the real situation of institutions in financial terms? How can accounting tools assist the accountant in advising his clients, and in which companies to invest? The general objective of the research is to find out how the accountant is indispensable in any area, especially how he stands out in the financial area using his knowledge to interpret the best forms of investments and their risks in the capital market, in order to provide interested parties with the results expected. For the realization since work, bibliographical methodologies were used, which provided greater familiarity with the problems raised, with the purpose of making them explicit. Lakatos and Marconi (2003, p.158), the bibliographical research is an overview of the main works already carried out, which are important because they can provide current and relevant data related to the theme. The study of relevant literature can help with planning work, avoiding publications and certain errors, and represents an indispensable source of information, and may even guide inquiries. The financial market presents itself as one of the sectors of greater regulation of its activities by the public authorities. In this orientation, regulatory initiatives such as the creation of the New Market in the scope of BM & FBovespa, the Corporate Governance practices adopted with the main purpose of protecting minority shareholders, a better performance, the Financial Market is subdivided into four markets, namely: Money Market, Credit Market, Foreign Exchange Market and Capital Markets. The main characteristics and functions of each market: Consumer in force in the economy, the Bankruptcy Law, among other important initiatives. (NET 2014, P57). Money market: it is structured to control the monetary liquidity of the economy, and the interest rates set by the monetary authorities (NET 2014, P63). Credit market: basically seeks to meet the short and medium term cash needs of the various economic agents, either through loans to individuals or loans and financing to companies (NET 2014, P72). Foreign exchange market: this comprises most of the foreign currency purchase and sale operations carried out by banking institutions authorized to operate in exchange (NETO 2014, P31). Capital market: It is characterized, as the segment of the financial market where the alternatives are created for companies to capture funds directly from investors, through the issuance of financial instruments, with the main objective of financing their activities or making investment projects feasible ( SECURITIES AND EXCHANGE COMMISSION, 2014 p36). As discussed earlier, the capital market is part of the financial market, and assumes the role of the most relevant in the process of economic development. It is the great source of permanent resources for the economy, because of the connection it makes between those who have the capacity to save, that is, the investors, and those who lack long-term resources, that is, that have an investment deficit (NET 2014, P82). The capital market, also known as the stock market, where shares, securities and bonds are bought and sold, is divided into two segments: the primary market and the secondary market, thus occupying a fundamental role in the country's economic development , acting as key player in the investments of organizations. The primary market operation is the launch of new shares. Who sells the shares is the company, raised funds to finance. There is a direct channeling of surplus monetary resources, available to savers, to the financing of companies, through the initial placement (sale) of the securities issued. In the primary market, companies seek more effectively the resources needed to achieve their growth, promoting the implementation of investment projects and the consequent increase in national wealth (RASSIER and HILGERT, 2012 p.38 and 39). In the words of Pinheiro (2009, p.175) "the primary stock market is where the subscription (sale) of new shares is negotiated to the public, that is, in which the company obtains resources for its enterprises." In the secondary market, the renegotiations between the economic agents of the securities acquired in the primary market are also established. The proceeds from the negotiations carried out in this market are not transferred to the financing of companies and are identified as a simple transfer between investors. The essential function of the secondary market is to provide liquidity to the primary market, enabling the launching of financial assets (RASSIER and HILGERT, 2012 p.39). 2.3 The importance of the accountant as financial advisor in the capital market. In times past the figure of the accountant was seen only behind a desk, within an accounting only to inform business situations, sign balance sheets, update tax information, and make daily debit and credit entries. Over the years it has been seen that the accountant can carry out activities inside and outside of accounting, one of them is to become, and be seen by their client the figure of a consultant. The Accountant is a professional qualified to work with the economic, financial, and patrimonial area of ​​one or several companies. It is the duty of this professional to adapt the laws that are related to the patrimony of legal entities, as well as to the tax deadlines that the entities must follow so that there is no pending with the tax authorities, in addition to correctly interpreting the information collected for which thus, will have a sense of the attitudes to be taken for the growth of the company (or companies). Every company needs to have someone responsible for the accounting area, which in practice many companies have these professionals outsourced, since most companies believe that these professionals are only used for calculations and tax collections and generate basic information. The capital market is in constant evolution, which sounds positively for the accounting professional who seeks to perfection in the area. The capita market contains information that gives the accountant a greater emphasis on other professions, from the analysis of accounting information of each company, to tax issues that are also required in the financial market as in all business aspects of other areas. Thanks to the diversity of knowledge acquired, the accountant can work in several areas, such as: Audit (independent, external internal) advisory (service), teacher, accounting bookkeeping (tax or personal), accounting analyst, partner or owner of an accounting office, among others. When talking about the accounting professional easily finds a placement in the labor market, because every legal person needs their information knowledge and tools. What few know is that in addition to information aimed at accounting or tax-oriented accounting, the accountant is also a professional trained to provide services in the financial accessory for investments. In order to carry out its functions in the capital market, the accountant needs specific knowledge, so that confidence and truthfulness in the information presented to the clients in the decision-making process is brought. 2.4 Necessary knowledge of the financial adviser. Consulting is an interactive process of a change agent external to the company, which assumes the responsibility of assisting the executives and professionals of said company in the decision making, not having, however, direct control of the situation (OLIVEIRA, 2015 p.4 ). The consulting performed within the standards can provide solutions and methods that the organization will adopt, and will use in their day to day. And noticeable as the accounting professional is apt to work in the financial market, accounting is a fundamental tool for the management of an enterprise. Through it, it is possible to extract a series of important information for decision making, to control and monitor operations, and to facilitate planning as a whole (URANO 2011). It is incumbent upon the accountant to also ascertain the tax information in a concrete way, since in matters of investments there is the IR, or income tax, and the IOF, or Tax on Financial Operations, where when it comes to the financial market its forms of collection, for the IR and for investments and other types of investment, already in the IOF is charged in credit, exchange and insurance operations or relating to securities. In addition, it should use its technical and practical knowledge to evaluate the objectives, expectations and needs of each client, in order to develop and present investment strategies appropriate to each one's profile (ÁVILA, CFP, MAIOR, 2015). Initial diagnosis: What is the evaluation of the financial resources of the company, as well as the assessment of the company's profile to the investment. Analyzing the investment portfolio: Taking the client to a safe, profitable and low cost investment. Periodic monitoring: Constant updating of financial accounting information regarding a particular investment. The accountant when acting as financial advisor, is characterized as financial intermediary. The financial interventionist acts seeking to exercise functions to reach goals of growth of the economic system. The interventionists act in several areas in order to expand the opportunities in order to generate economic growth or avoid losses at the moment of their needs. In addition, financial intermediary has the role of providing information to maximize results, thus avoiding an inefficient and unnecessary allocation of resources. Investment funds and investment clubs. Savings CDB's and RDB's and government bonds. The shares constitute the smallest (fraction) of the share capital of a corporation. They are characteristically negotiable values ​​and distributed to the subscribers (shareholders) according to the monetary participation effected (NET 2014, P83). Debentures are long-term debt securities issued by corporations and are generally intended to finance investment projects (fixed and floating) or to extend the indebtedness profile of companies. It is essentially an instrument in which the borrower (issuer of the security) promises to pay the investor (debenture holder) the capital invested, plus interest, on a previously agreed date (NET 2014, P86). The debentures assure their holders a right to credit against the company under the terms of the deed of issue and the certificate, with preference given to the receipt of the capital invested. They lend themselves to the loading of resources for the financing of fixed capital and business turnover. The debentures may be issued by joint-stock companies (public limited companies or limited partnerships), publicly-held or closed-end companies (PINHEIRO 2009, page 213). Investment Funds represent groups of investors (condominiums) and offer the convenience of managing their monetary resources in a professional manner, without the need for participants to master more sophisticated analytical techniques and maintain a large flow of capital market information. When operating with a large volume of funds from several investors, the Funds may also obtain more favorable trading conditions than if each shareholder were to act alone in the market (NETO 2014, P347). The Investment Club is made up of investors (individuals) whose purpose is to set up a diversified portfolio of securities, through the application of own financial resources. The constitution of the club is processed through the approval and signature by its members of the bylaws, which will regulate its conduct and procedures (NETO 2014, P53). 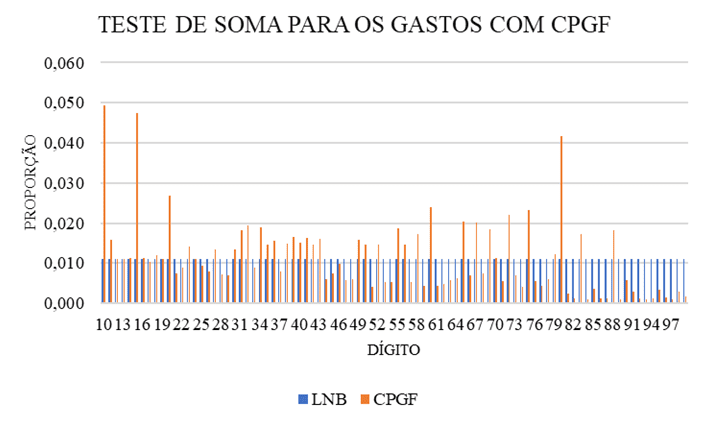 The Savings Account is considered the most traditional investment modality in Brazil, classified as conservative because it offers low risk and, also, lower return, especially when compared to other types of financial investments. It tends to attract lower-income investors (NET 2014, P90). A bank deposit certificate (CBD) is an obligation for future payment of fixed-term capital applied to financial institutions (commercial or multiple banks and investment and development banks). These funds are basically intended to finance the working capital of companies. The issues of these securities are made according to the volume of credit demanded by the companies (NETO 2014, P90). Public Securities are an investment alternative for the market and are recorded as a property, plant and equipment. State and municipal bonds have low liquidity in the market, with a more restricted circulation. Federal public securities, on the other hand, have greater acceptance and liquidity (NET 2014, P66). Contador is able to guide what each type of risk can bring, demonstrating the best path that each company can seek, as in a simple way to present the profitability of each investment in order to demonstrate the companies the best way to invest and inform which every company expects from its investments that are its liquidity ratios. Market risk is related to the price that the market stipulates for assets and liabilities traded by the financial intermediaries, that is, with the behavior verified in the price of a good in the day to day. This risk expresses how much can be gained or lost when applying contracts and other assets in the face of changes in their trading prices (NET 2014, P154). Liquidity risk is related to the immediate availability of cash on the demand of depositors and borrowers (holders of liabilities) of a financial institution (NETO 2014, P155). Operational Risk Risk management can be understood as a process of measurement and control of the risks present in the normal activities of an organization. Management involves people, systems, and control standards (NET 2014, P155). Credit risk is the possibility that a financial institution does not receive the amounts (principal and yields and interest) promised by the securities it holds in its receivables portfolio. Examples of these assets include loans granted by banks and fixed-income securities issued by debtors (NETO, 2014 P153). Foreign exchange risk arises when an institution that has applied abroad, for example, verifies that the currency of that country depreciates against the currency of its economy, determining a lower return on the operation. This risk may also be called exchange rate risk (NETO, 2014 P156). With the elaboration of this work it was noticeable that the capital market has grown considerably, and with it the need for better information so that coherent decisions are made so that safe and profitable investments can be made. Another important item was the need to include these professionals in the role of investment activities offered to the entrepreneur by the accounting professional, who knows financial data and is able to interpret reports more easily and clearly, and with information to guide the best investments and investments of resources. As noted, knowledge in the accounting information for a concrete analysis of investments leads to the conclusion that the accountant not only assists in the information for decision making, but also classifies himself as a key player in this new market of opportunities acting in a certain way as a "counselor "About investments in a world so vast and so little known, which is the capital market. The accountant has knowledge in data that allows the investor to understand the whole atmosphere in which the company is inserted, where you can also transform all the information into a good and profitable investment. With this, it is noticed that the course in accounting sciences allows the bachelors a vast knowledge and makes this professional become increasingly important in decision making. ÁVILA Daniel, CFP, Greater Sotto Felipe. INFORMATION CONSULTING: What it is and how it works, 2015. Available at: https://verios.com.br/blog/consultoria-de-investimento-oque-e-e-como-funciona/ accessed on May 12, 2016. LAKATOS, Eva Maria; MARCONI, Marina de Andrade. Search. In: Research Technique. 3. ed. rev. e ampl. São Paulo: Atlas, 2003. Brazilian securities market 3ºed. Rio de Janeiro: Securities Commission, 2014. NETO, Alexandre, Assaf. Financial market. 12th edition, São Paulo: Atlas S.A, 2014. 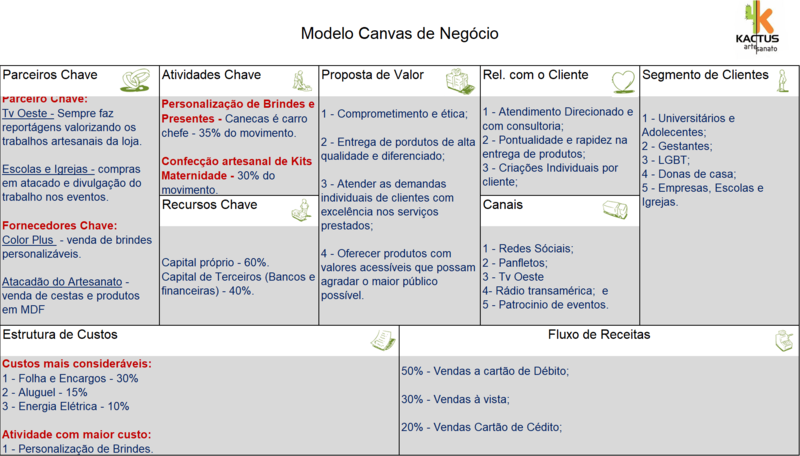 OLIVEIRA de, Rebouças Pinho de Djalma / Business Consulting Manual – 13th edition, Atlas 2015. Page 1 Capital Markets: Fundamentals and Techniques. 5 ed. São Paulo: Atlas, 2009. RASSIER Hirt, Leandro; Hilgert Paulo Silvio / Learn to Invest in the Stock Exchange – Curitiba: IESDE Brasil S.A, 2012. SOUZA, by Acilon Batista. Capital investment project. 1ª ed, São Paulo: Atlas, 2003.
. What's this accounting for? 2011. Available for: http://controlefinanceiro.granatum.com.br/empreendedorismo/para-que-serve-essa-tal-contabilidade/. accessed May 8, 2016. Completion of a Course in Accounting Sciences, presented as a partial requirement to obtain a Bachelor's Degree in the Accounting Sciences Course of the Independent Faculty of the Northeast of Vitória da Conquista – BA. 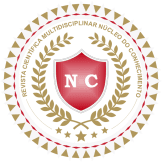 Bachelor of Accounting Sciences Course of the Independent Faculty of the Northeast of Vitória da Conquista – BA.